If you are filing your income tax as a sole proprietor or partner, using the T1 tax return, when you are filling out Form T2125 (Statement of Business or Professional Activities), you will be listing various business expenses. If your business expenses exceed your business income, you will record a business loss on this form. Whether you get to "use" this business loss and claim the business expenses depends on whether or not you have other income. If you do, you may wish to take the income from your business (the non-capital business loss) and use it to offset your other income, in effect, claiming the business expenses. This strategy is very advantageous for people that have regular full or part-time employment — by having a side business you can write off business losses against your regular employment income. If you don't have other income, there's nothing to write the business expenses off against, so you're stuck with a business loss that isn't able to do you any good tax-wise. Just because you can't use the loss this year to reduce your taxable income, doesn't mean that you won't get to use it at all — as long as you've had personal income within the requisite "tax window". Non-capital losses can be used to offset other personal income in any given tax year and can be carried back three years or carried forward for up to seven years. You may not want to "claim your business expenses" and use your business loss this particular tax year. It may make more sense for you to carry your non-capital loss back to recover income tax you've already paid, or to carry it forward to offset a potentially larger tax bill in the future. Note that you cannot continue to write off business expenses against personal income year after year for many years. The expectation is that your business "has a reasonable expectation of profit", according to the Canada Revenue Agency (CRA), and therefore will eventually generate more income, reduce losses, and become profitable (see the Canada Revenue Agency Profit Test). If the CRA decides that this is not the case they can not only deny your claim for business losses in the current year but re-assess your claims for losses in previous years. In addition to having a reasonable expectation of profit, a side business has to be "clearly commercial in nature", as ruled by the courts. For example, suppose you have a full-time job and decide to start a side business offering flight services and to do so you purchase an aircraft. You have few or no customers, little or no revenue, and the aircraft is used mostly for personal transportation, but you claim business expenses and Capital Cost Allowance (CCA depreciation) for the aircraft against your other income on your tax return. You have a full-time regular job. The aircraft is mainly for personal use and is not a source of income. Your side business is not being carried on in a sufficiently commercial manner. If your business is incorporated you cannot write off business losses from a Canadian corporation against your other income, except in certain cases of investment losses resulting from share dispositions or debt. With incorporated businesses, you can use your non-capital losses to offset income for the year and any surplus losses can be applied to other years. Losses can be carried backward for up to three years or forward for up to 20 years. 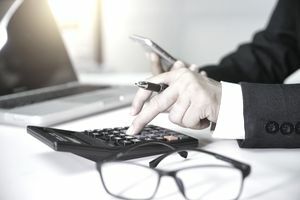 You can use this to optimize your tax situation — if you expect your business to become more profitable in subsequent years you may want to carry the losses forward to offset any profits that exceed the small business deduction income limit ($500,000). Capital losses, such as those that may be incurred when selling a building, property, or equipment for less than what was paid, are treated differently. You can generally only claim half the value of the capital loss against capital gains. You cannot claim capital losses against regular income. Capital losses can be carried backward for up to three years or forward for up to 10 years. Be reasonable when claiming business expenses. Being "overly aggressive" with expense claims is a surefire way to raise red flags with the CRA and trigger an audit. Typical audit triggers include excessive claims for vehicle expenses for work (you must keep a mileage log), meals and entertainment expenses (only half of the amounts are deductible), unreasonable salaries paid to family members, and excessive claims for home office use (you can only write off home expenses such as your mortgage, taxes, insurance, etc. as a percentage of the square footage of your homes actually used for business purposes — such as a spare room used as a home office or a garage used to store equipment). Does Your Business Pass the Canada Revenue Agency's Profit Test?